Now I don’t know about you but my son gets very messy at school. 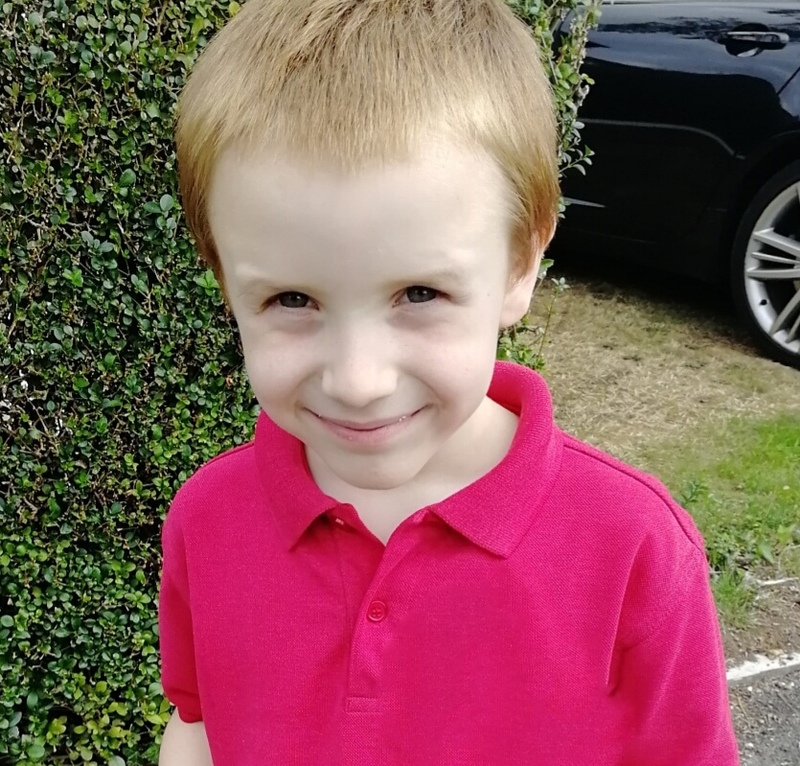 He’s now in Year 2 and whilst you think a normal school day would be messy enough, he also does football after school on a Thursday, a club after school on a Friday that he sometimes wears his uniform too and has just signed up to a new club for a Wednesday. 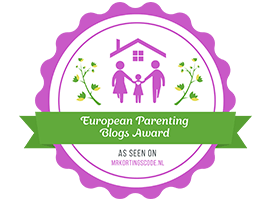 As you can imagine, these colourful adventures of Jack’s can lead to a lot of mess and cleaning up for me, especially when it comes to his clothes after a day at school! This is where I am glad to have ACE products close to hand. ACE is said to keep garments bright, robust and clean meaning clothes last for longer – in my experience, this is very true. With the ACE for colours, colours are kept bright and fresh (much needed for his PE kit with his house colour t-shirt and his football kit). For those tougher stubborn stains such as grease, the ACE Stain Remover also comes into its own. Jack has been coming home with all manners of things on his uniform in recent weeks – stains from his lunch, pen marks. 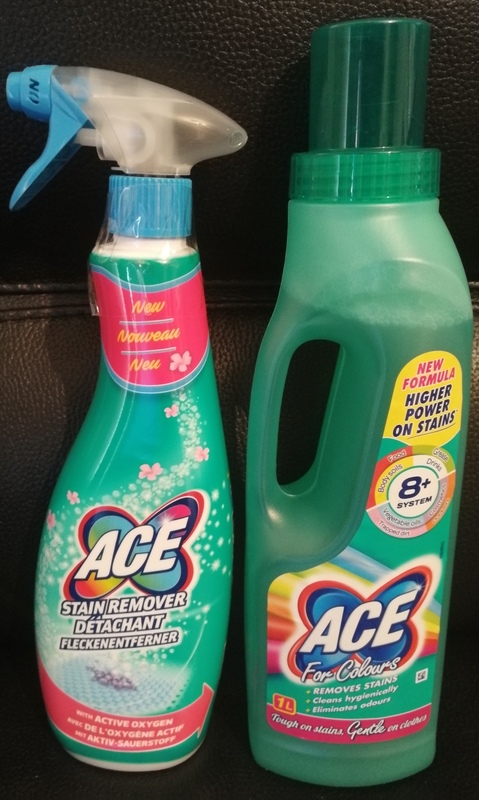 We’ve been using ACE for a little while now to see how it works and the products have been leaving his uniform looking as bright as ever – other products in the past have made the red of his shirt washed out – and the stains have disappeared. Not an easy task when you have caked on macaroni cheese, some pen that you aren’t quite too sure if it is a sharpie, specks of mud and various other icky bits! With a toddler in the house too, stains are the bane of my life and my laundry pile certainly seems never ending. Add to that a partner who works in the same school that Jack attends and who has a very active job and it seems like my washing machine is never off. I need products which I know will do the job and it looks like I might have just found them. What do you use to get stains out of your child’s uniform and to keep the colours bright? I’d love to know!